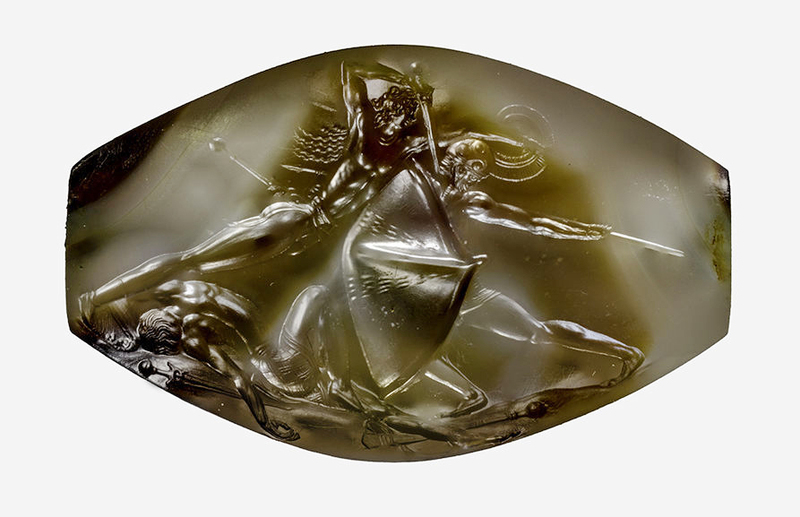 An intricately carved gem, or 'sealstone', only 1,4 inches wide, has been discovered in a 3500-year-old Minoan tomb of a Bronze Age warrior in south-western Greece. 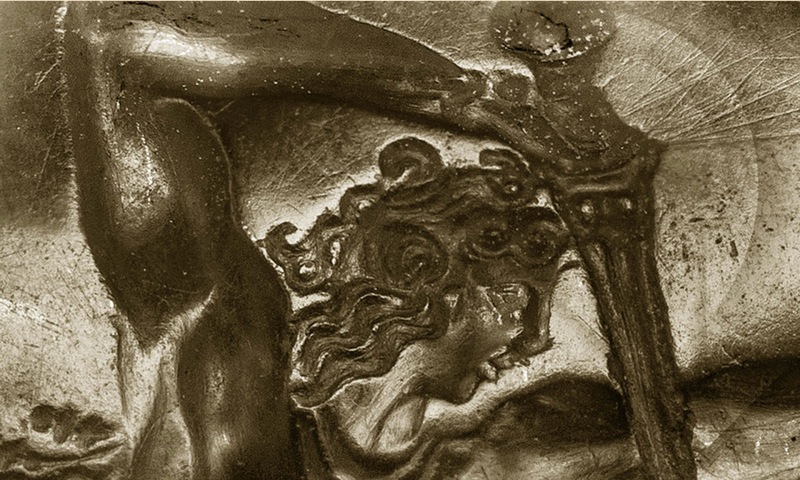 The detail and realism of the carving - a battle scene in which one warrior kills another whilst a third lies dead at their feet - overturns all previous notions about Greek art in this period. The sealstone along with other artifacts was discovered by an archaeological team from the University of Cincinatti two years ago, though the sealstone itself was only fully revealed a year later after it had been properly cleaned. "What is fascinating is that the representation of the human body is at a level of detail and musculature that one doesn't find again until the classical period of Greek art 1,000 years later," explained Jack Davis, the university's Carl W. Blegen professor of Greek archaeology and department head. "It's a spectacular find."